Holiday cottages sleeping up to 17 people. 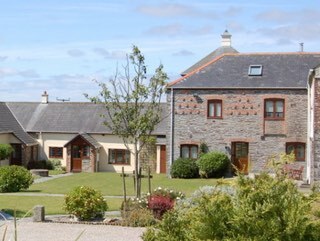 Situated in the glorious North Cornwall, our four cottages are set around a peaceful rural courtyard and provide cosy, quality, well-equipped (freezers, dishwashers, microwaves, videos etc) self-catering accommodation. Features include conservatories, woodburners, gardens, ample parking and credit cards accepted. Heron Cottage has two bedrooms and sleeps 4/5 + baby with a Friday changeover. Well Cottage has two bedrooms and sleeps 4 + baby with a Friday changeover. Leat Cottage has three bedrooms (master bedroom with en suite shower room) and sleeps 6 + baby with a Saturday changeover. Lower Mill has one bedroom and sleeps 2 + baby with a Saturday changeover. Located down a quiet country lane and surrounded by farmland, the Mill is within easy reach of many beautiful sandy beaches, the Camel Trail and the Eden Project, and has convenient road access to all parts of Cornwall. Wadebridge 3 miles, Padstow 5 miles. Click on the pictures for full details, prices, availability and secure online booking. Please note: we do not accept smokers or pets. Enter this charming single storey cottage through its porch and hallway to a delightful high-ceilinged sitting room with a stone fireplace and woodburning stove. From this room, sliding doors lead to a bright conservatory/dining room with further doors to a lovely private fenced garden with lawn, shrubs and terrace and beautiful unspoilt views to the South and West. A decorative archway from the sitting room gives access to the kitchen. Off the hall are the bathroom and two bedrooms, one with a double bed and one with twin beds. Friday changeover. Please note: we do not accept smokers or pets. This single storey cottage is approached through its own fenced garden and a porch and hall. A cosy double-aspect sitting/dining room with an attractive stone fireplace incorporating a woodburning stove has sliding doors leading to a South-facing conservatory and paved terrace with views over farmland. Off the hall are a pleasant kitchen and a bathroom. The pretty master bedroom has a double bed and a second colour television set and space for an optional child's divan or cot. The second bedroom has one 3ft and one 2ft 6ins bed. Friday changeover. Please note: we do not accept smokers or pets.